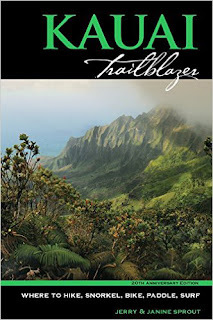 TRAILBLAZER HAWAII: Oh no, Kauai's fabled Kalalau Trail is closed!! No problem, Brah. 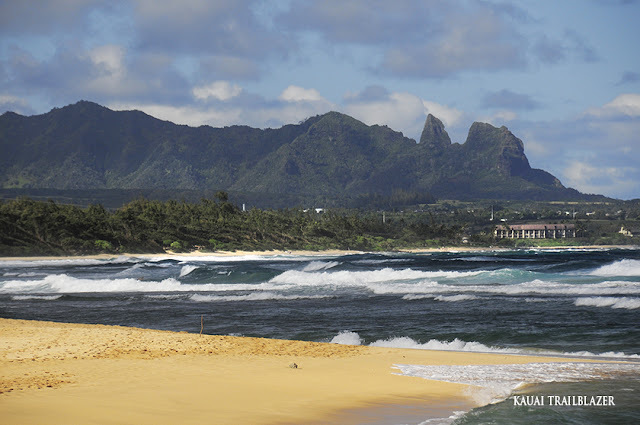 Oh no, Kauai's fabled Kalalau Trail is closed!! No problem, Brah. 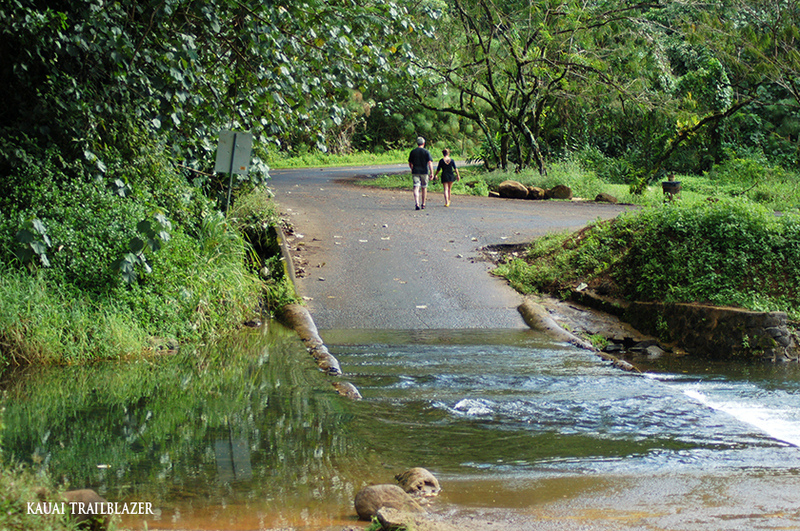 Roads and trails beyond Hanalei Bay on Kauai's north shore remain closed, after being hammered by a Biblical rainstorm this winter—50 freaking inches in 24 hours. That means a mega-popular attraction, the Kalalau Trail, (second only to Oahu's Diamond Head) along the island's Napali (The Cliffs) is off limits. On most vacations, having the most popular thing shut down would be a bummer. 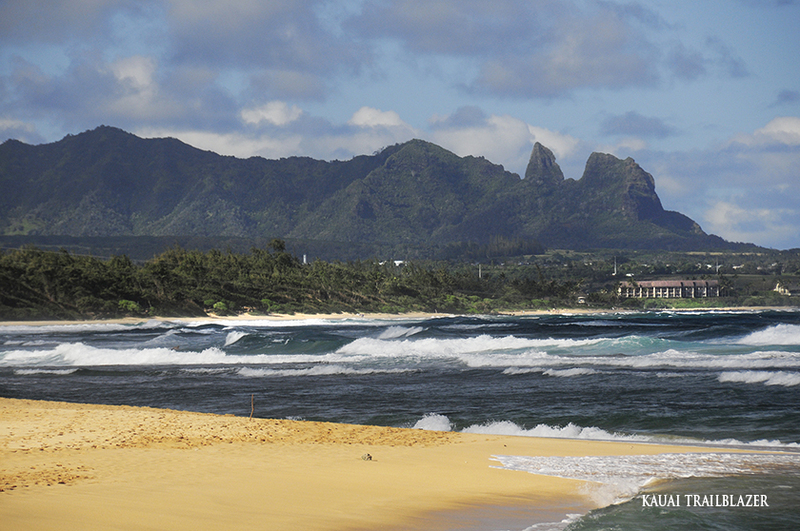 No way on Kauai, where many, many other trails are open that deliver plenty of scenic punch. One option is Kapa'a's Keahua Arborteum (above), the gateway to the Waialeale Blue Hole, the trans-Kauai Powerline Trail, and the Kuilau Ridge Trail. 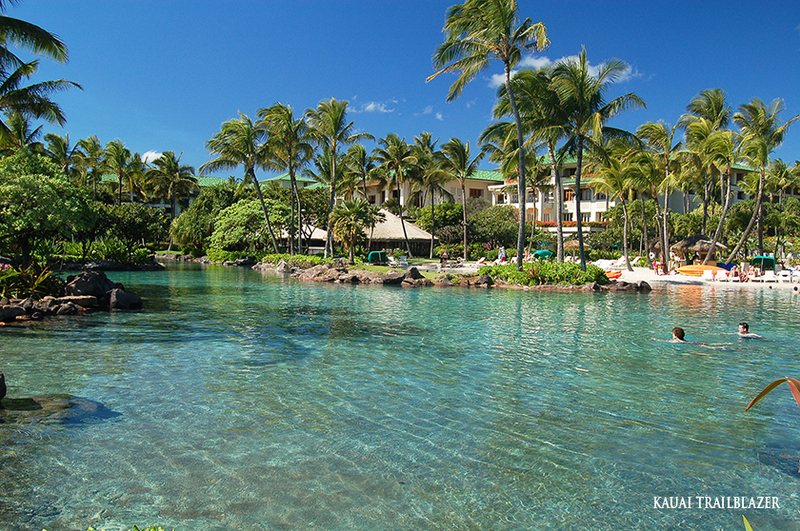 This neck of the woods, the east shore of the island, is called the Coconut Coast. Miles of beach walking beckon. The 10-mile Kapa'a Coastal Bike Path is one of the best outdoor attractions in Hawaii. Walk it, or rent a bike. On the south shore, are two National Tropical Botanical Gardens—Allerton and McBryde. You can choose a guided or self-guided tour. Or, take the new coastal trail just outside the garden gate. 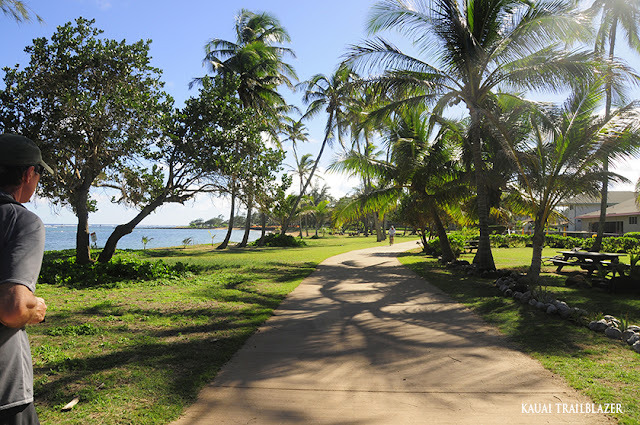 The south coast also features the Mahaulepu Heritage Trail, which skirts bluffs and beaches, and passes ancient sites. The route begins at the fabulous Grand Hyatt Kauai (above). 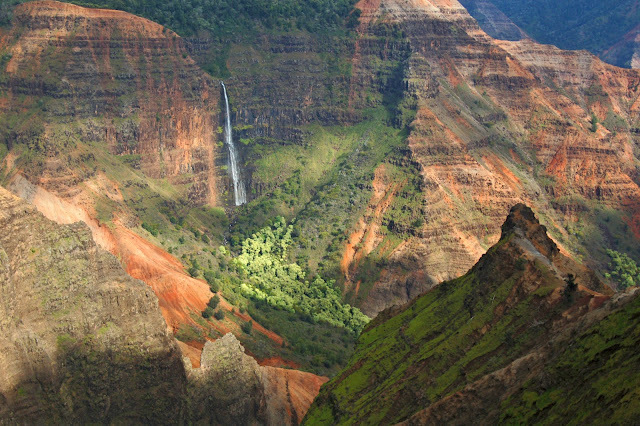 Lofted above the south coast is Waimea Canyon, the Grand Canyon of the Pacific. You could easily spend a two-week visit just hiking this place. Several trails lead into, and along the rim of, this 10-mile long, red-walled deep gash. 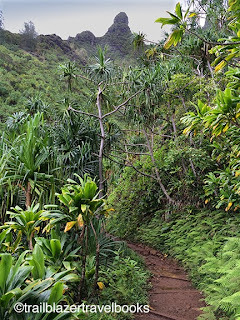 Other trails start above the canyon, including the awesome Kilohana Overlook Trail—which curls the top of Kalalau Valley, crosses the Alakai Swamp on a boardwalk, and ends at a platform with a view 4,000 feet down to Hanalei Bay. Another half-dozen (insert superlative here) trails go out some of Napali Cliffs and end at 3,000-foot high overlooks. 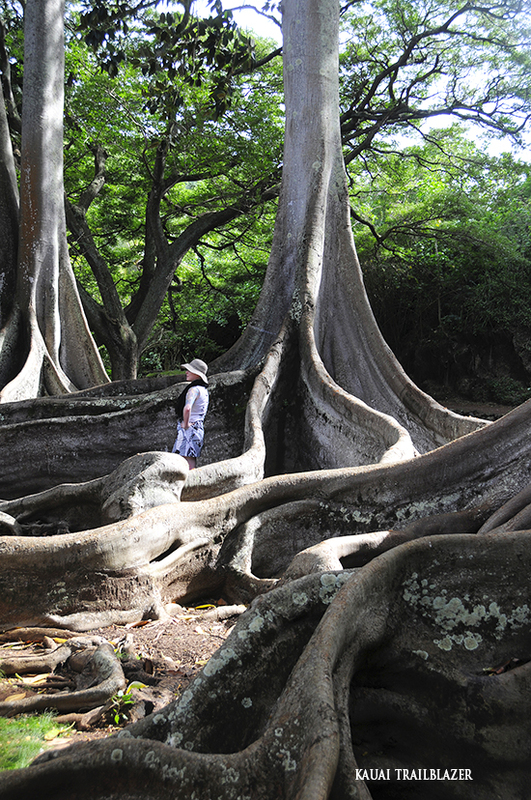 The Awa'awapuhi and Nualolo trails are fairly well known, but the others rarely see tourists. Oh wait. Let's not forget the miles of birdwatcher trails in the tropical forests of Koke'e State Park, in the same Waimea Canyon area. All this may seem overwhelming. 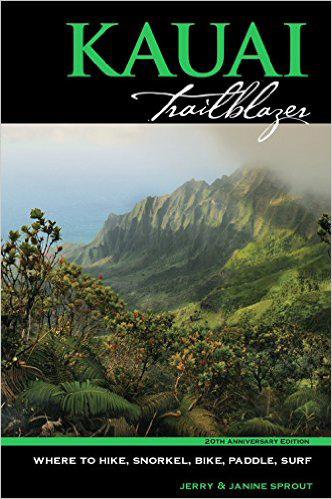 Kauai Trailblazer sorts it all out with great detail in an organized fashion. Labels: Coconut Coast., Kalalau Trail, Kapa'a Coastal Bike Path, Kuilau Ridge, Mahaulepu Heritage Trail. Grand Hyatt Kauai, National Tropical Botanical Gardens, Powerline Trail, Waimea Canyon. Awa'awapuhi.